I began this quest, by creating a v0.0.1 "goal list" from the following paragraph. The development itself is divided into iterated prototypes. We start with certain functionality, divide it logically into iterations and prototype it. Currently, we are working on second iteration of first prototype. First prototype aims to create hero moving trough the world. The prototype is divided into 5 iterations. First iteration, already done, aimed at displaying the map only. Iteration 2 (almost ready) adds hero and collision-less foliage/items. Iteration 3 adds collisions and iteration 4 makes it possible to enter buildings. Final iteration, numbered 5, will include multiple floors and moving between them. We are not making design before creating prototypes. We design during creating prototypes. We are not afraid to restart from time to time. Making a working prototype allows us to see issues we couldn't predict before actually coding working feature. So yes, we write the code design after finishing prototype - when we are happy with features, we can concentrate on looking for efficient way to code it. That way, by iterating the work and code design, we should be able to create really polished and optimized code. Same goes for gameplay features, like battle system. We will start low, then add features until we are happy, then polish, tweak and document. Most probably, as a side effect of each prototype we will create a fragment of library that final game will run on. This was done in a few hours, and is a prototype, explained in the paragraph above. I set out to do everything that was said in that part of the "A Whiff of Steam: what is it about?" thread. Anyhow, feel free to leave your comments and what not. Sure comments on my code are cool and all, but I wasn't trying to make it pretty, I was trying to make it work! All of the art, except for the player sprite is credited...couldn't find the credits for the sprite..
EDIT* If you feel that you can contribute in any way, feel free to contact me! Last edited by JesseH on Wed Apr 10, 2013 2:30 pm, edited 1 time in total. Also, this is probably the roughest demo, in the history of demos. Heh, yes I sorta made this post quickly. I don't usually use forums. But I will find that license and use it. I would lÖve to help out with this. I have most of what is in your list done, but could use some code clean up, bug fix's, and optimizing. I am also using the LPC assets. you can kill the enemies, walk around, and go into the building. Great to see this started up again; I was sort of sad looking at this ghost town of a subforum for so long. The progress made so far is great, but in my opinion, I don't think it's "LÖVEly" enough. 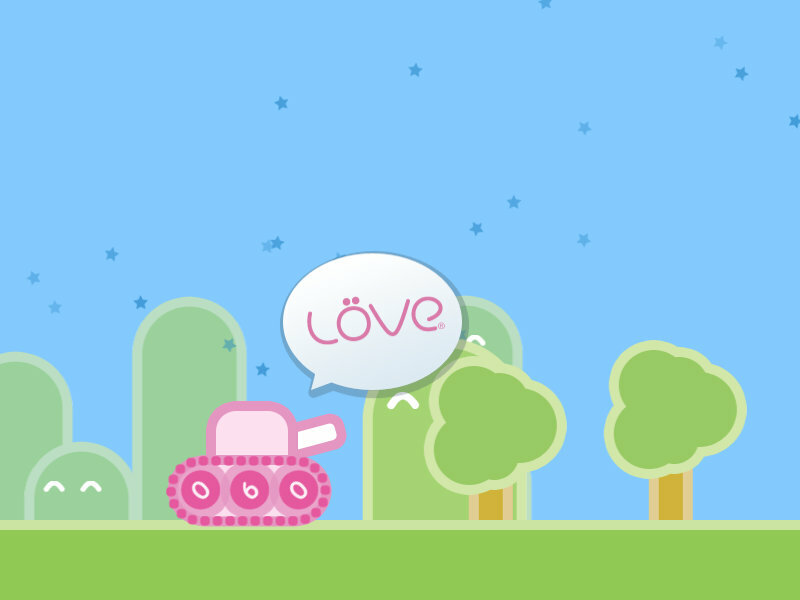 I think the game's art and gameplay style should mirror that of the art style of LÖVE itself. I refer mainly to the demos, or "no-game" screens. Bright colors, thick lines, vector-style graphics. As for the gameplay and game mechanics, I think it'd be cool if the game were a platformer RPG instead of top-down, of course with the same sword-slashing button-mashing theme. I don't want to shoot down anyone's ideas, only wanted to share my perspective on the subject. If nobody agrees, that's fine. I agree with that the art direction should be more love like, but that said free art work that is of good quality is extremly hard to come by and even harder to get large macthing sets of art. As for game style every one will have differing opinions on what they want, personly I would like a rpg game that has both a top down and platformer views, with the view changing where it makes sense to. I forgot to add my github early so https://github.com/jasonisop/lpc_game.git. jasonisop wrote: I would lÖve to help out with this. I have most of what is in your list done, but could use some code clean up, bug fix's, and optimizing. I am also using the LPC assets. Nice dude! I really do like where you are going with that game, and I think this project could benefit with something like that. My time is limited for now, so I can't really dedicate much of it to this project. You could set up your own repo and let me fork, or you could use the one on my github and work with that. I will merge any pull request sent. It would be nice to have someone working while I finish up some things. LPC art assets are fine too, they work great. Hop on ##jesseh on freenode anyone interested in the project. That is where I chat about development and what not. Thanks for the interest see you guys soon. I have git set up https://github.com/jasonisop/lpc_game.git so you can feel free to fork it. I too have limited time to work on projects, job 2 kids and a wife. There are a few issus with the code i have now, the camera code need a full re-write as well as the animation section. I was also thinking of switching combat to a more turnbased system. Yeah, well I hate forums. Hop on ##jesseh on Freenode, or #love on OFTC. I will be there.